How many times does a girl need to say “no” before you realize she’s just not that into you? The big dance is coming up for Democrats, and many progressives are still hoping Elizabeth Warren will be their date. Never mind that she’s declined the offer multiple, multiple times in the starkest of terms. But progressives are in love, still seeing stars when they look at their anti-Wall Street crusader, who they believe has the best chance to beat Hillary for Homecoming Queen. All the while a quieter young man is hanging out in the corner, hoping desperately for someone to ask him out: Martin O’Malley. O’Malley has been trying his hardest to promote the progressive message as of late, railing against the TPP fast-track, slamming trickle-down economics and deregulation, and touting his record as governor of raising the minimum wage, legalizing gay marriage and abolishing the death penalty. He’s had increasingly sharp words for Hillary Clinton, pointing out her evolving views on gay marriage and immigration, recently commenting, “we are best as a party when we lead with our principles and not according to the polls.” When it comes to those polls, however, O’Malley still languishes at the very bottom. While he’s speaking around the country in advance of a likely presidential candidacy, MoveOn and Democracy for America’s Run Warren Run campaign continues to organize and hold press events. 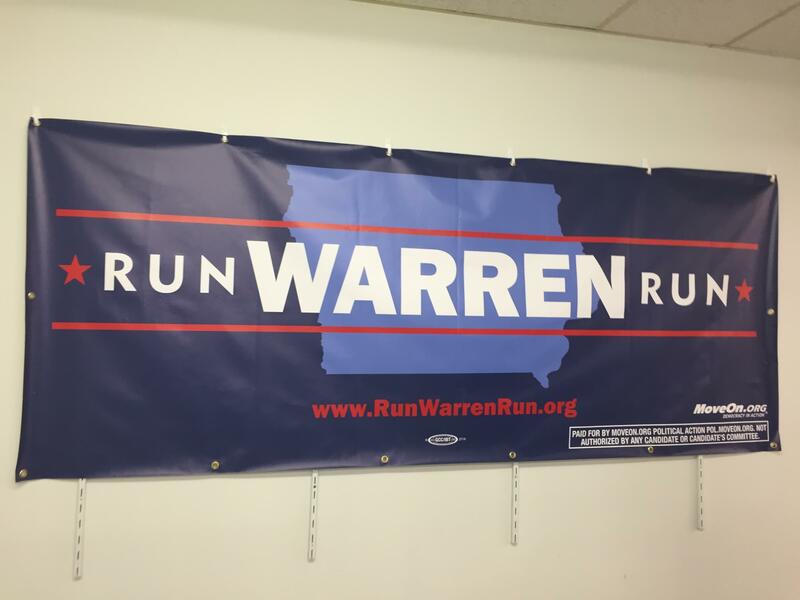 From what one can see on Twitter, the group’s field team continues to sign up Iowans all over the state to write postcards to Warren encouraging her to run. 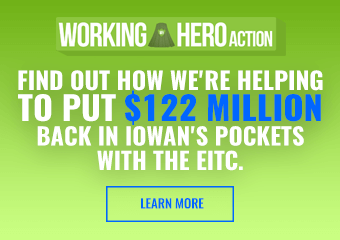 They’ve announced many county organizers and activists, but no legislators nor top Iowa staff or consultants have signed on. Their big event this week was a thing in New York City where Harvard professor Lawrence Lessig encouraged Warren to get in the race. You really have to wonder whether these resources could have been better spent. Warren is not running. But O’Malley probably will and there’s still an outside (but shrinking) chance that Bernie Sanders could too. Every day Clinton’s large Iowa team recruits volunteers and gets caucus-goer commitment cards. A progressive organization laying the groundwork for an O’Malley run could offset some of that advantage, and help O’Malley start to build up his name recognition and standing in the early state polls. Alternatively, backing Sanders early, a dyed-in-the-wool liberal much better known than O’Malley, could have encouraged the Vermont Senator to take the dive into presidential politics. Bernie Sanders’ biggest stated concern was whether he’d have enough grass-roots support and money to make a legitimate go of it. Unlike Warren, who may have had a bit of a chance to upend Clinton and capture the nomination, Sanders truly has no shot, but at least you’d have a messenger who’s been promoting progressive policies for years. The support will be there for Warren whether Run Warren Run exists, but some sort of progressive organizing could have given O’Malley or Sanders a real boost and ensured a more robust discussion with Clinton over their issues. Frankly, MoveOn should know better. This campaign has moved far past the well-meaning stage, and is entering the counter-productive one. If you were the cynical type, you might say Run Warren Run has been nothing more than a list-building, money-raising operation for MoveOn and Democracy For America, created by DC consultants who flew in to jump-start a non-existent movement that they knew had no endgame. Again, if you were the cynical type. And what happens when Warren endorses Clinton, which I would guess is pretty likely in the next few months? What then? 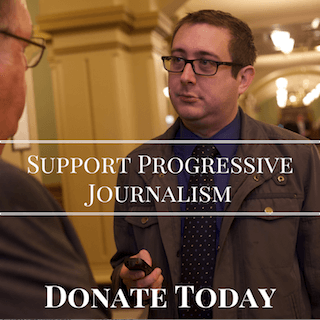 The progressive hero you’ve been championing just backed the person you’re afraid will abandon some of your issues. 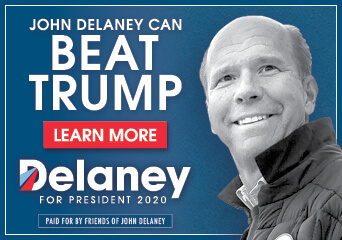 Do you say “oops,” point to O’Malley and say, “actually, he’s pretty good too.” There’s no great way for this to end where you then redirect your supporters’ energy elsewhere. But there’s still time to refocus the efforts. If progressives really want to get their issues into the national conversation they need to start looking at backing people who might actually run to carry their banner, O’Malley chief among them. Doing outside messaging work is nice, but the best way to press Clinton on the issues is to have a legitimate alternative at the other podium on a debate stage directly asking her a tough question. Of course, we are Democrats, so strategy isn’t exactly our strong suit. But if progressives don’t want to go stag to this dance, they need to stop chasing the girl that didn’t just get away – she was never there to begin with. Warren endorses Hillary in weeks, not months. And a lot of lefty hearts will be broken.